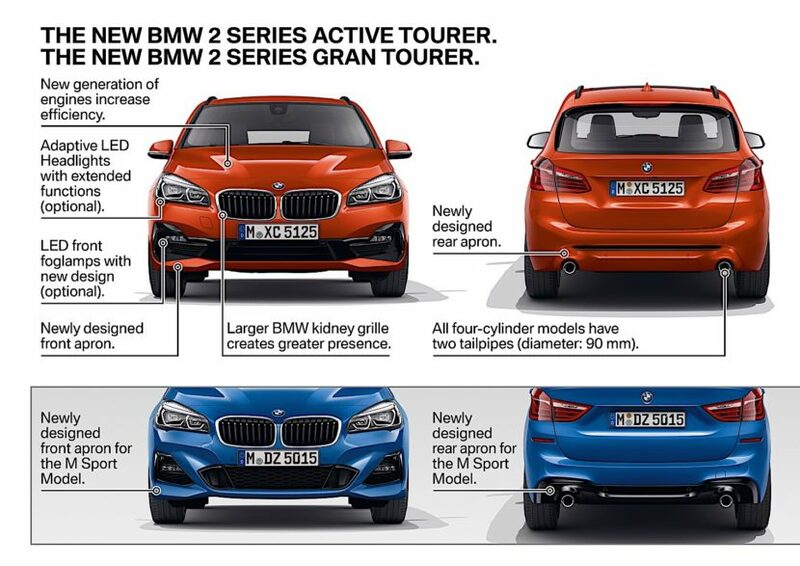 BMW released the full info on the subtly revised BMW 2 Series Active Tourer and Gran Tourer models today, showing prospective customers what to expect once the car reach the first dealerships. 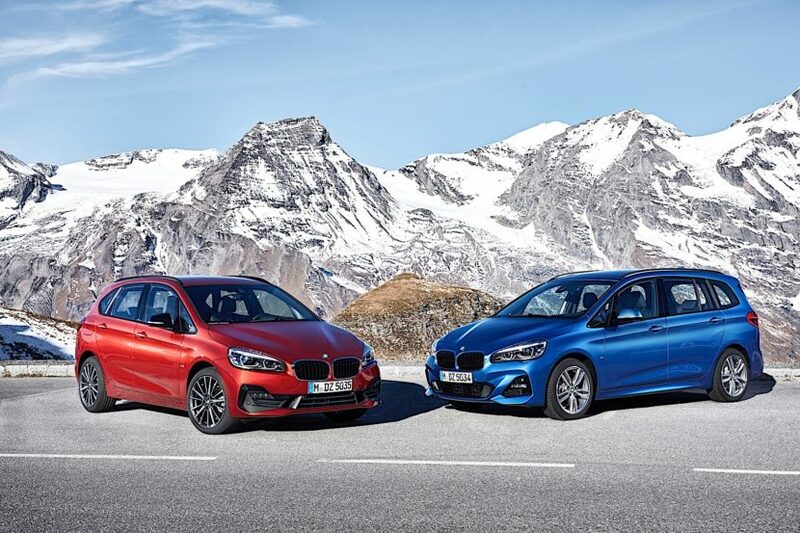 The two MPVs are now entering their fourth year in production so a small update was due, especially since they are seriously popular in Western Europe where BMW is apparently selling them like hot cakes. The new versions will go on sale starting this March. In case you thought nobody cared about these models or that they are not a popular choice, no matter the market, you’d be wrong. Since the cars were launched back in 2014, BMW sold over 380,000 units, making them some of the best selling models they have on the roster these days. Just for comparison’s sake, the BMW X6 was sold in 250,000 units over the course of its first seven years of production. The biggest market for the Active and Gran Tourer models is Germany, followed by China and Great Britain. The conquest rate is also extremely high, with more than 70 per cent of customers new to the BMW brand. The new models come with a new front-end look with wide, single-piece air intake and a more striking kidney grille which underlines the car’s sporty and elegant appearance. The newly designed rear apron with larger exhaust tailpipes (twin tailpipes for all four-cylinder models) accentuates the car’s width. There are two new exterior colors available, Jucaro Beige and Sunset Orange, and six new light-alloy wheel designs in 17, 18 and 19-inch formats. Exclusive materials and new seat covers in cloth/Sensatec and leather are now available for the interior along with a new electronic gear selector lever. Under the hood the engines got mild tweaks to improve their outputs and and be more efficient. 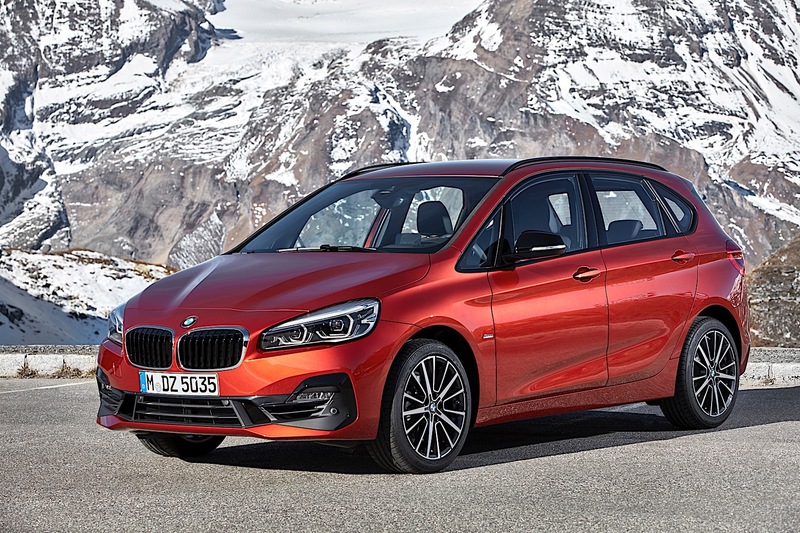 BMW 2 Series Active Tourer engines develop outputs from 109 hp to 231 hp while the power units for the BMW 2 Series Gran Tourer go from 109 hp to 192 hp. All diesel engines will employ exhaust gas treatment technology including a diesel particulate filter, NOX absorber catalyst and SCR (Selective Catalytic Reduction) system, which uses urea solution (AdBlue) injection to effectively reduce nitrogen oxides in the car’s exhaust gases. All four-cylinder diesels now feature BMW TwinPower Turbo technology incl. two turbochargers. A new seven-speed dual-clutch Steptronic transmission will be available for the first time in the two models, the same unit from the new MINI models. 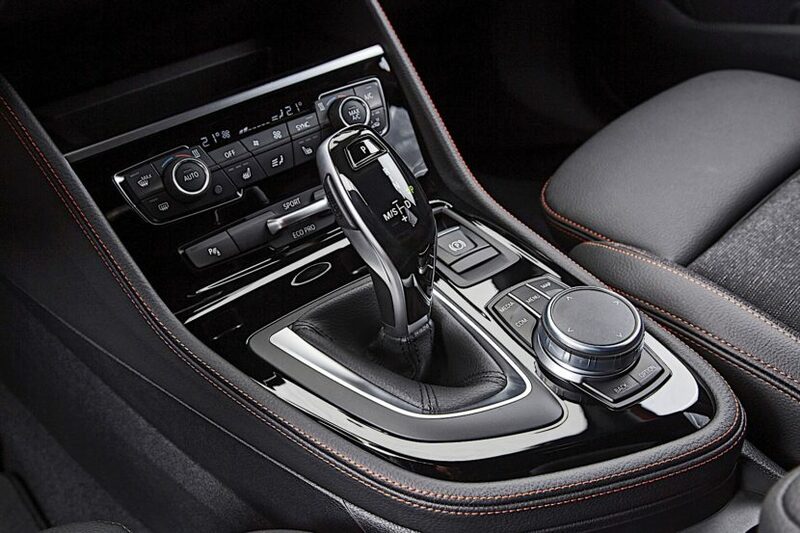 Alongside you’ll find an eight-speed Steptronic transmission and six-speed manual. The 220i is fitted as standard with the seven-speed dual-clutch Steptronic transmission, the 225i xDrive and 220d with the eight-speed Steptronic. 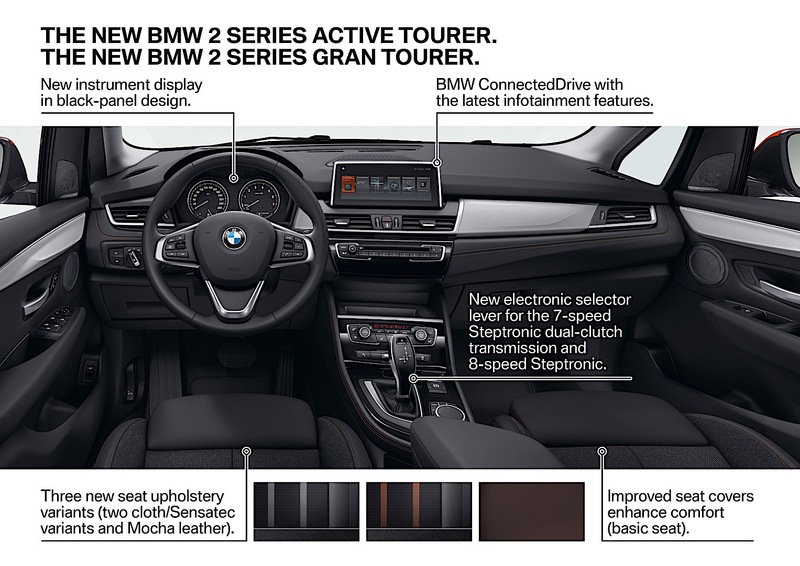 Last but not least, the latest iDrive system will be included alongside optional navigation systems with 6.5 or 8.8-inch touchscreen, voice control and iDrive operation with touch-sensitive interface.